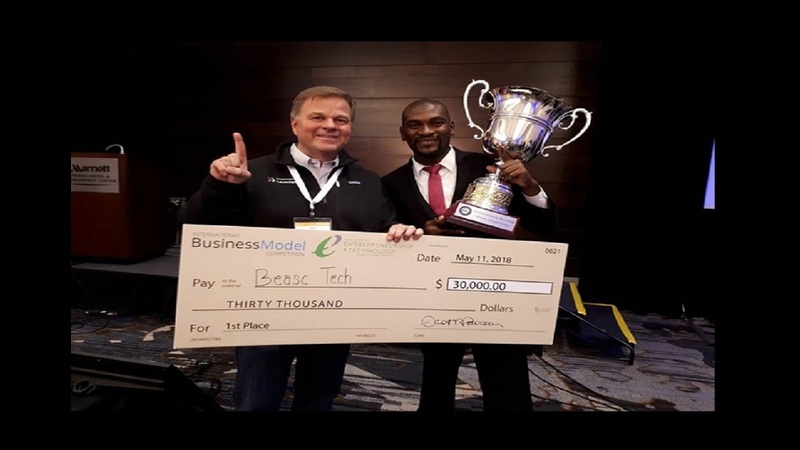 Lancelot Riley (right), from Northern Caribbean University’s Beasc Tech, stands with Paul Ahlstrom of Alta Ventures Group at last year’s International Business Model Competition (IBMC) in Utah, USA. The team is the reigning IBMC champion after beating a field of 5,000 competitors from 500 universities in 30 countries across the world to win a cash prize of US$30,000 and the traveling trophy. 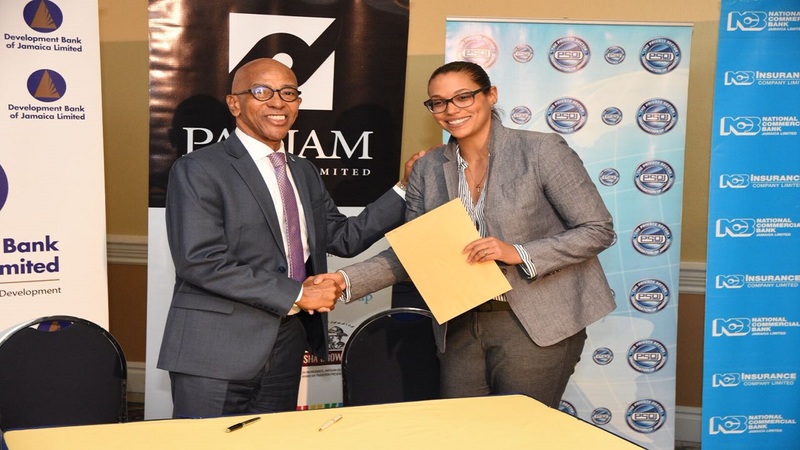 Fifteen teams of student entrepreneurs at the tertiary level will this week be competing for cash prizes of up to $4 million and an all-expense paid trip to defend Jamaica’s 2018 global championship at the upcoming International Business Model Competition (IBMC). 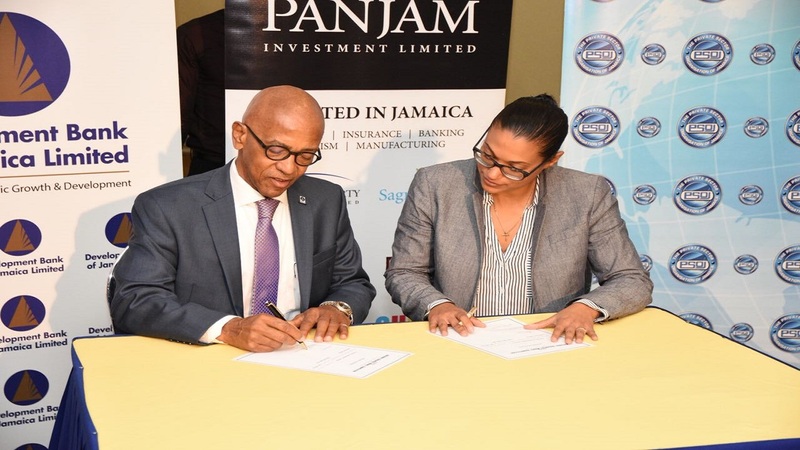 The National Business Model Competition, to be held on March 21 and March 22 at The Knutsford Court Hotel in Kingston, is organised at the local level by the Development Bank of Jamaica (DBJ) through its Jamaica Venture Capital Programme and the Private Sector Organisation of Jamaica. 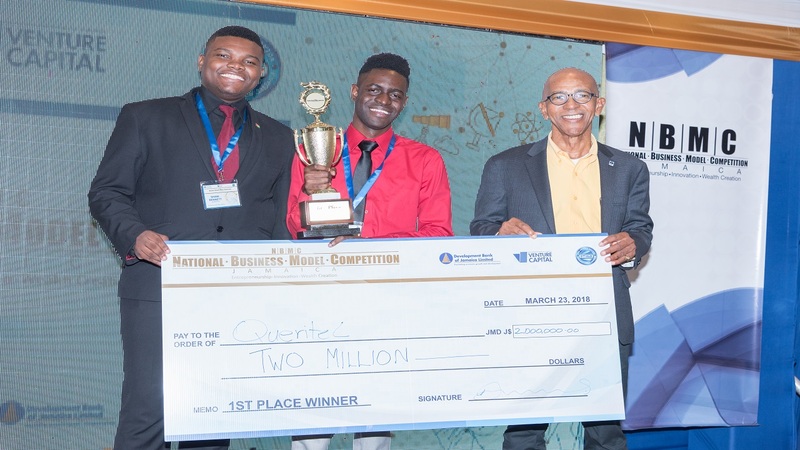 Jamaican universities performed exceptionally well at the 2018 IBMC as Beasc Technologies from NCU won first place bragging rights, the Global Champion trophy and US$30,000. Eco-Structures, representing the University of the West Indies, was awarded second place receiving a cash prize of US$20,000; and Queritel, the third team from Jamaica, placed in the top 10 out of 42 universities worldwide, after a total of five teams from Jamaica’s National Business Model Competition, competed on the global stage.